Here's our walkthrough for the 'One For the History Book's mission in Monster Hunter World, featuring the Zorah Magdaros. As you approach the halfway point of the main story of Monster Hunter World, you'll get the opportunity to take on the 'One For the History Books' quest. 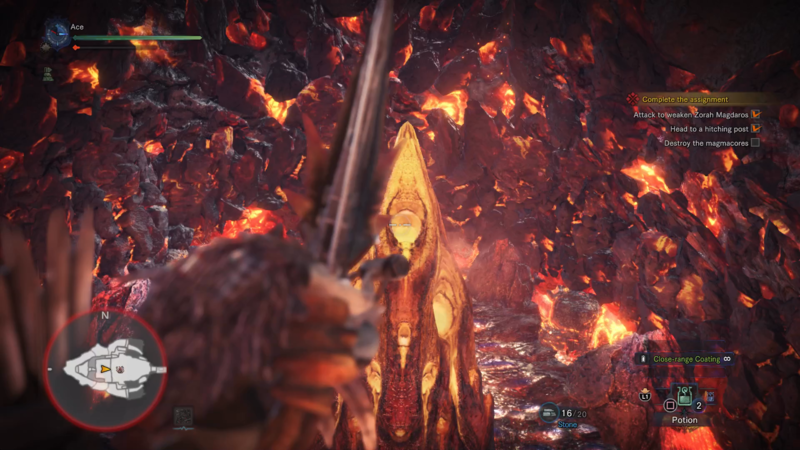 In this Monster Hunter World Zorah Magdaros guide, we'll be walking you through completing the specific quest for the Elder Dragon as easily as possible. 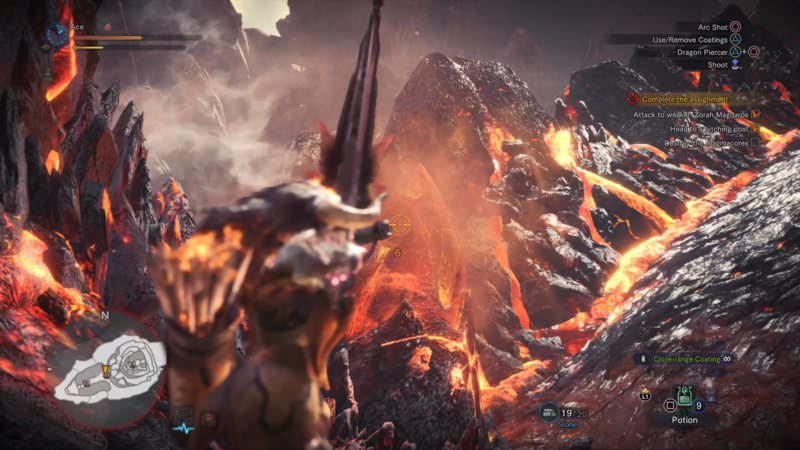 If you instead need anything else to do with Monster Hunter World, including how to perfectly cook a well-done steak on the BBQ, as well as how to quickly hunt down monsters using the Scout Flies to your advantage, make sure to head over to our Monster Hunter World guides walkthrough hub. 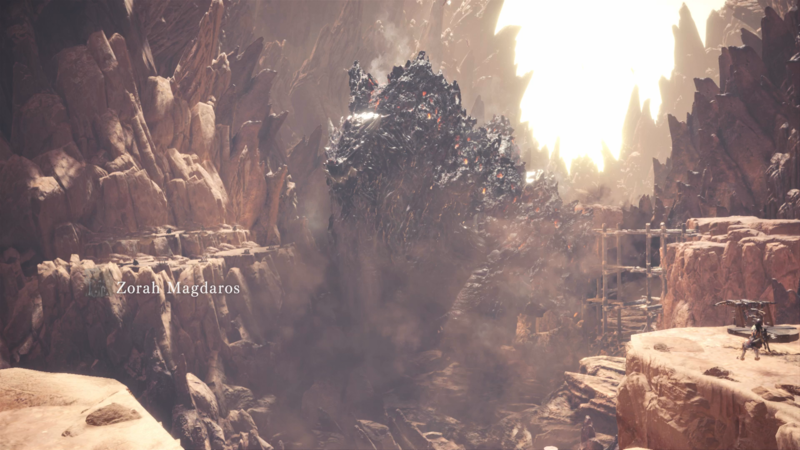 As we mentioned at the top of this guide, the Zorah Magdaros is the creature that you encounter right at the beginning of Monster Hunter World. After this, plans are set in motion for taking down the gigantic monster, and this all culminates into the One for the History Books quest, which you can kick off by selecting one of the placed weapons nearby, such as the Ballista or Cannon, and loading them up with ammunition. Load the cannonballs into the cannons, and the oversized arrows into the ballista, and then take aim at the Zorah Magdaros. You can’t aim with the cannons, so you’ll have to press Circle/B to fire them when the Zorah Magdaros when it’s roughly in the firing line of the cannon, but you can aim manually with the ballista. Make sure to listen out for orders from the Field Commander, as when the Zorah Magdaros advances to near the barricade, he’ll instruct you to use the powerful ballista at the very top of the ramparts. Load up the highest ballista with the One-Shot Blinder ammo nearby, and fire it to restrain the Zorah Magdaros. Now, head back down to the lower levels along the cliffs, and choose a cannon to load up and fire on the Zorah Magdaros. After a short while, the monumental beast will break through the barricades, bringing to you to the next stage of the One for the History Books quest. You’re now back where you started Monster Hunter World quite some hours ago: on the back of the Zorah Magdaros. 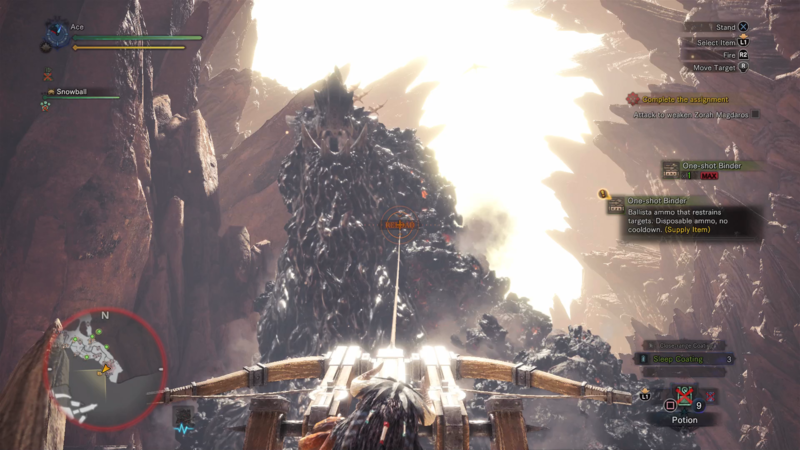 You’ll have now to target the glowing, spiky cores scattered around the back of the Zorah Magdaros with whatever weapons and equipment you brought with you. Keep targeting the cores, and they’ll eventually explode one by one, as you pursue then around the mini map in the bottom left of the screen. Finally, you’ll eventually come to the final, biggest core you’ve seen so far, which is actually inside the Zorah Magdaros itself. 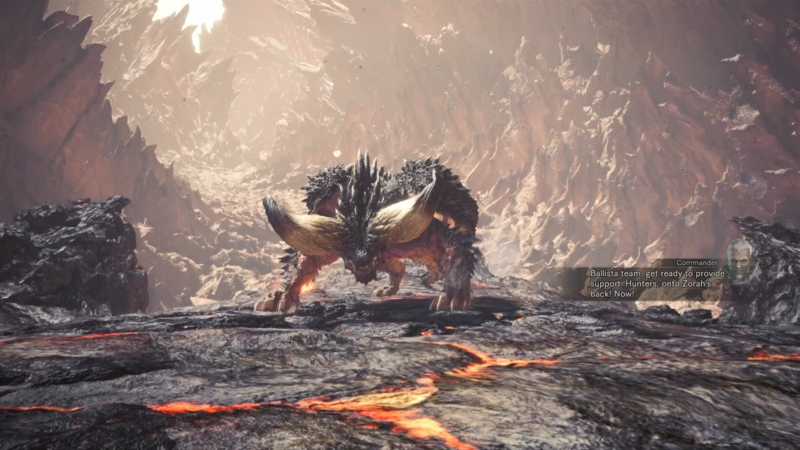 Keep targeting this just like you have done before, and a cutscene will then play out, where a powerful Nergigante will land on the back of the Zorah Magdaros to face off against you and your fellow hunters. The Nergigante boss fight in MHW isn’t a walk in the park, but you also don’t actually have to kill the monster to conclude the One for the History Books quest. Instead, simply keep dodging the swiping attacks of the beast and targeting its head and tail, and you’ll eventually bring on the next cutscene, where the Nergigante flies off. This scene marks the end of the MHW quest, as the Zorah Magdaros eventually breaks through the barrier and is set loose, and the Fifth Fleet are left in its wake. Now that we’re done here, continue ahead to our other Monster Hunter World guides, such as our complete guide to the Wildspire Waste, as well as our guide to every armor type in the game. Alternatively, you could head over to our monsters guide hub, where we'll walk you through how to take down every single beast in Monster Hunter World.